This ’50s find is one of two rayon nightgowns I discovered thrifting in the city one day. After a good clean and steam, they’re both looking as good as new. Rather appropriately, this nightgown was made by the label, Movie Star. What better way to feel like a Hollywood starlet than by slipping this baby on! 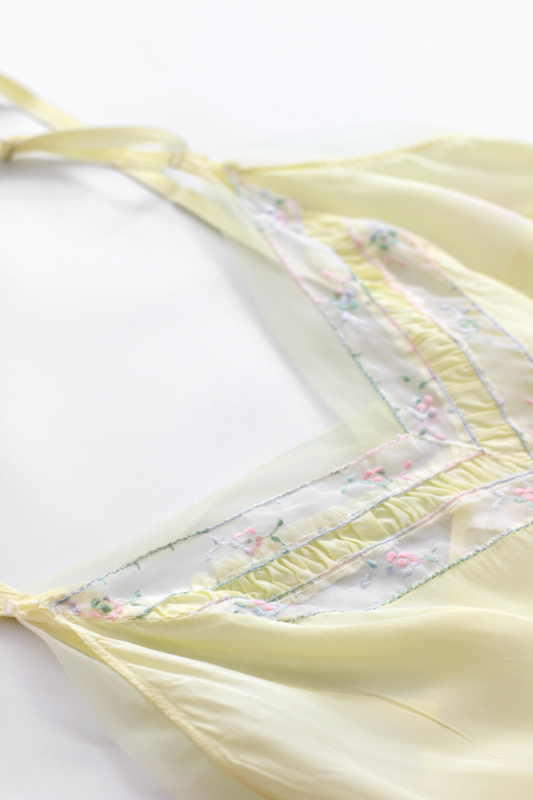 Vintage ’50s Movie Star Pastel Yellow Slip, $144. Talk about pretty in pink. Just like the nightgown before, this one is also a gem from the 1950s. I love the dainty roses and chiffon trim. Admittedly, capturing the true color of this one was a bit difficult in our first photo shoot. As you can see it’s a bit cooler in hue in the top photo than in the close up photo below it. The close up photo is a better representation of what the pink looks like in person. Vintage 1950s Pastel Pink Slip Negligee, $144. 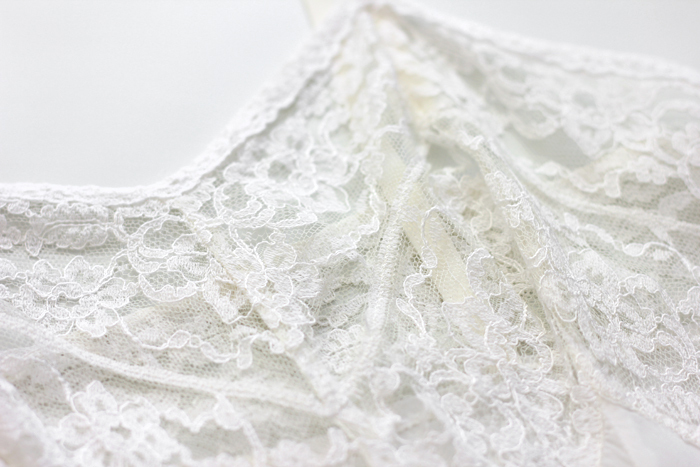 This cream lace negligee is my personal favorite. From its ivory color to the princess seams, I think this is the chicest of the bunch. It’s not in perfect condition, however, and will need a little extra TLC. There are some tears to the lace trim around the top and the hem, but as you can see it doesn’t make this piece any less lovely. If you’re into a bit of creative d-i-y, then this is the vintage find for you. Grab it in our final sale section here. I call this the “Grecian Goddess Nightie.” Not only is it adorable, it’s as airy as a cloud too. Vintage ’60s Grecian Goddess Nightgown, $85. 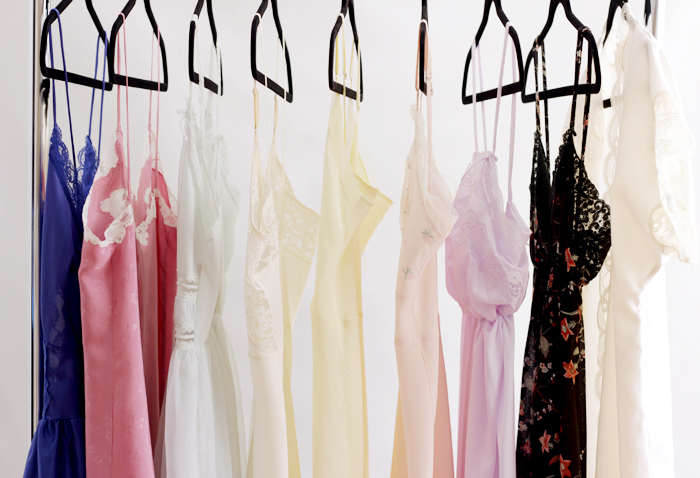 My love of bed jackets has been spoken of before on this blog! This one is no exception. You can get ready in style with this va-va-voom vintage satin cover up. 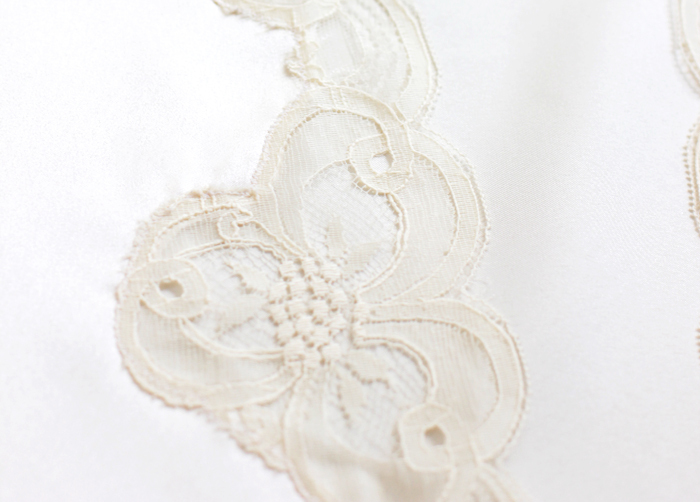 Vintage Ivory Cream Lace and Satin Bed Jacket, $90. Previous Post OOTD: Today, I’m accessorizing wisely.